…what you ‘bake’ of it! A few things didn’t work according to plan over the last days. Well, that’s normal – that’s life. I bake and cook regularly. Sometimes it’s rushed, sometimes well planned and organized. Sometimes it’s a little success and sometimes none at all. 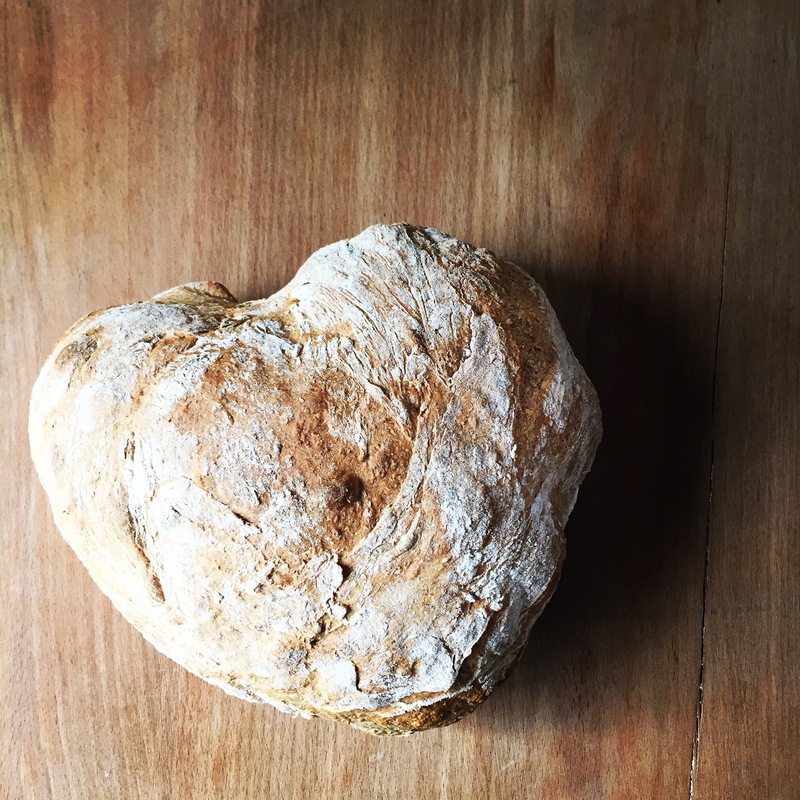 It’s now 10 months since we left our old life in the States and this heart shaped bread really made me smile and stop for a moment. What a long way we’ve come…how much we have accomplished and achieved. Lots of things didn’t work out as planned or became irrelevant. And my home cooking and baking really dipped at times. One says, stress kills creativity. How true! But I think with every day we feel more and more settled and at home here in Scotland. …..and it’s a heart for all the wonderful people and friends we met during our travels around the world.